Why does the refrigeration system emphasize vacuuming? 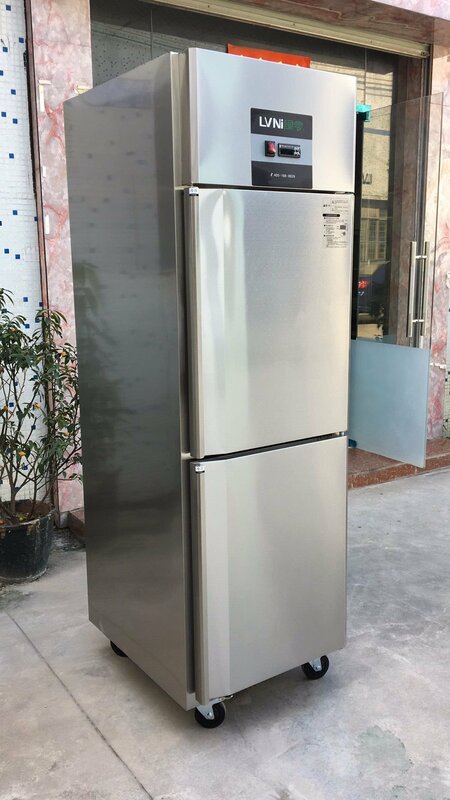 - Guangzhou LVNI Commercial Refrigeration Co., Ltd. There're some tip for the commercial refrigerator. Let us first look at the composition of the air, as shown below: nitrogen in the air accounted for 78%; oxygen accounted for 21%; other gases accounted for 1%. So let's analyze now, what effect does the composition of these gases have on the refrigeration system after entering the refrigeration system? First of all, we must know that nitrogen is a non-condensable gas. The so-called non-condensable gas means that the gas circulates in the system with the refrigerant, does not condense with the refrigerant, and does not produce a cooling effect. The presence of non-condensable gases poses a great hazard to the refrigeration system, mainly due to an increase in the condensing pressure of the system, an increase in the condensing temperature, an increase in the exhaust temperature of the compressor, and an increase in power consumption. 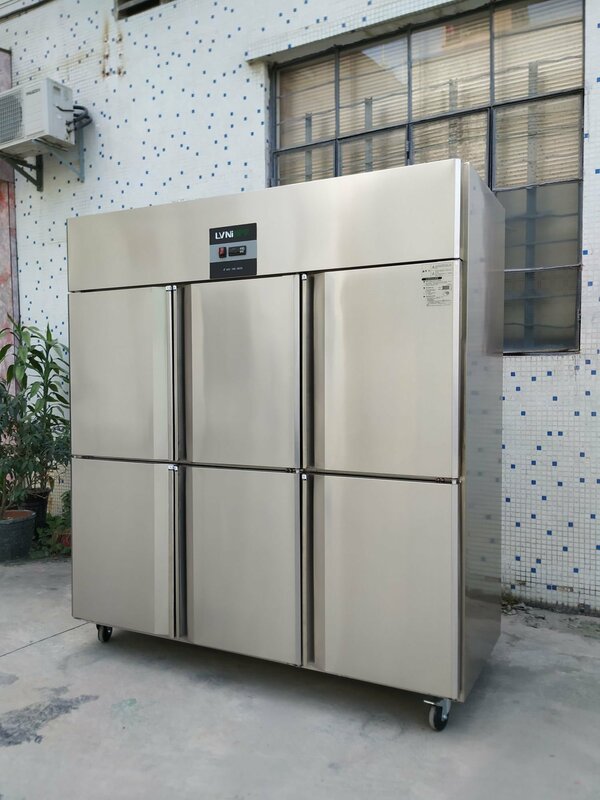 Nitrogen enters the evaporator and cannot evaporate with the refrigerant; it also occupies the heat exchange area of the evaporator, so that the refrigerant cannot be fully evaporated, and the refrigeration efficiency is lowered. At the same time, the exhaust gas temperature may cause carbonization of the lubricating oil, affecting Lubrication effect, severely burns the refrigeration compressor motor. So, it's not good for the commercial refrigerator cooling system. 1. The oxygen in the air will chemically react with the frozen oil in the refrigeration system to form organic matter, and finally form impurities, which will enter the refrigeration system, causing adverse consequences such as dirty plugging. And the commercial refrigerator will be not working efficiently. 2, oxygen and refrigerant, water vapor and other chemical reactions that easily form acid, so that the refrigeration oil will oxidize, these acids will damage the various components of the refrigeration system, destroy the insulation layer of the motor; at the same time these acid products will stay in the refrigeration system At first, there was no problem, and as time went on, it eventually caused the compressor to be damaged. 1. There is water in the refrigeration system. The first one is the throttling structure. When the water vapor enters the throttling mechanism, the temperature rapidly decreases and the water reaches the freezing point, causing ice formation and blocking the small through-hole of the throttling structure. , the failure of the ice block. 2. Corrosion of pipe water vapor into the refrigeration system, the water content of the system increases, causing corrosion and blockage of pipes and equipment. 3. Produce sludge deposits. During the compression process of water vapor, water vapor encounters high temperature and refrigeration oil, refrigerant, organic matter, etc., causing a series of chemical reactions, resulting in damage to the motor windings, corrosion of metals and formation of sludge deposits. 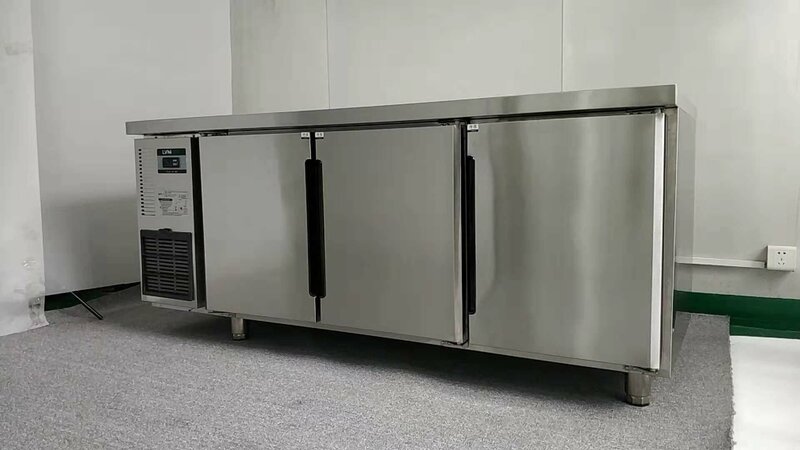 In summary, in order to ensure the effect of the refrigeration equipment and extend the life of the refrigeration equipment, it must be ensured that there is no non-condensable gas in the refrigeration, and the refrigeration system must be evacuated. Then ensure to commercial refrigerator cooling system working well. If you'd like to get more details, please click on here.